The megaesophagus in dogs is a type of injury with a serious prognosis. In general, it affects the dog population more than the cat population. Without proper treatment, this type of condition can lead to a series of complications that can endanger the life of your pet. 1 What is megaesophagus in dogs? What is megaesophagus in dogs? This type of injury is defined asdilation and loss of mobility of the esophagusspecifically, in the esophagus of dogs. This type of injury can cause the mobility necessary to swallow food and liquids to be completely lost. Dilation of the esophagus is more frequent in large-sized races, like the Great Dane, the German Shepherds or the Labrador Retrievers. Some they suffer congenitally, that is,they are born with her. The races with more predisposition to be born with megaesophagus are the hard-haired fox terrier or the miniature schnauzer. One of the most serious consequences of the megaesophagus is the so-called aspiration pneumonia. This respiratory condition occurs when you inhale food, saliva, liquids or vomit directly into the lungs. The megaesophagus in dogs can be congenital, that is, it may have occurred during the development of the fetus in the maternal womb; secondary or linked to other pathologies andacquired, related to hereditary causes. 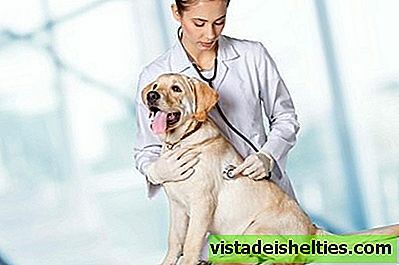 The vet, after examining the animal's clinical history, will carry out a complete check-up and will determine, according to the information provided by the owner, if the dog tends to regurgitate or vomit. This will help you rule out other possible digestive diseases. The shape, color and presence of undigested solid particles in the dog's vomit will also be decisive for the definitive diagnosis. Other usual tests areblood and urine tests, which allow detecting the existence of derived disorders. The esophagoscopy will facilitate the removal of possible foreign bodies that have lodged in your pet's esophagus and will evaluate the magnitude of the esophagus dilation. With respect totreatment, the main strategy lies in trying to cure the underlying disorder in cases of secondary megaesophagus. In some cases, you can even get to practicesurgery. If your dog can not feed himself, he will only need to be fed by nasogastric. 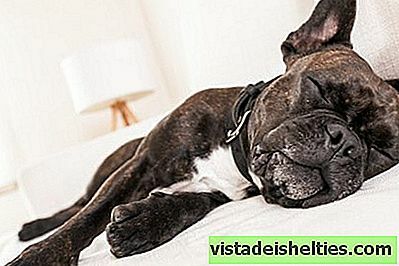 In those cases in which the treatment is merelypalliative, as it happens in animals that suffer from megaesophagus congenitally, it is recommendedturn the dog around every four hours, provide you withsoft mattress to sleep and a liquid diet.